ROOM 17, TONIGHT, at 5 o'clock"
The Scottish Country Dance Society formed from that meeting. Soon affiliated societies sprang up in Edinburgh and other cities and towns across the country. In 1925, the society hosted a summer school at St. Andrews for one week, attracting one hundred students interested in learning about the dance. (This summer school now lasts for four weeks with an average of three hundred people attending each week-long session.) King George VI bestowed the society with his patronage in 1951, making it the Royal Scottish Country Dance Society. Queen Elizabeth, the present royal patron, shows great interest in the organization and is herself a country dancer. 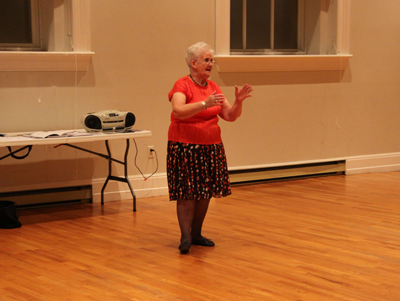 When Ms. Stewart emigrated to Capetown, South Africa, in 1954, she took her love of Scottish Country Dancing with her and formed the society's first international branch. 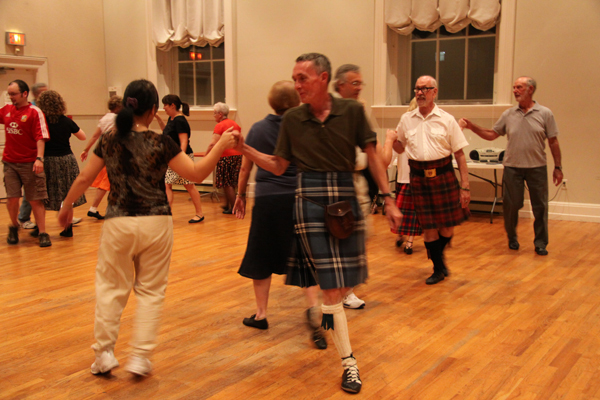 The second international branch of the Royal Scottish Country Dancing Society was founded in Boston, and the third in Hamilton, Ontario. 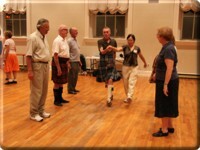 Scottish country dancing began in Windsor in 1965 when a few Scottish friends got together and practiced their routines. The early group had met in the basement of a private home before moving to a more public venue at one of the local community centers. There weren't many members in those early days; sometimes they would wait to put on their dance shoes to see if eight people would show up (eight being the minimum number of dancers required to make a set). But the Scottish country dancers attracted more adherents as they advertised and encouraged friends to join them; by the 1980s, the group had attracted over forty members. 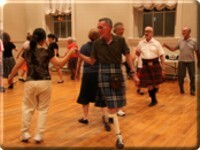 For fifteen years it existed as an affiliate of the Royal Scottish Country Dance Society, but its growth prompted the original organizers to consider applying for official "branch" status from the headquarters in Edinburgh. However, in order for the group to become an official branch, it needed to have two certified dance teachers in its membership. In the group's earlier days, a lady from the Detroit branch used to come over to instruct the Windsor country dancers, but when she stopped coming it was left to the founding members to instruct the newer members. So in 1980, June and John Dey, who had been with the group since its humble basement beginnings, decided to become certified Royal Scottish country dance instructors. They each passed the two-week examination course at Brock University in St. Catherine's, and returned to Windsor ready to teach and ready to make their group into an official branch. 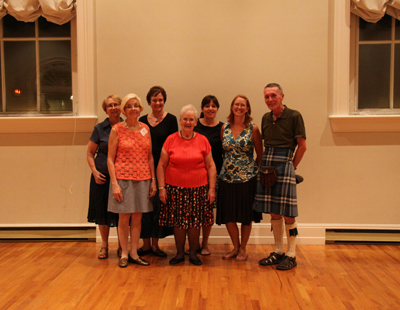 The Windsor Scottish country dancers obtained official "branch" status from the Royal Scottish Country Dance Society in 1981. 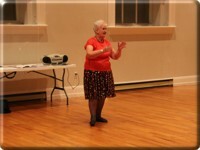 On 25 November 2006, it celebrated its 25th anniversary with a special dance and potluck dinner at Bedford United Church. Although the branch is small, rarely exceeding fifty members at a time, society historian Isobel Hunter writes that they "are very vibrant with a good mix of seasoned members and newer dancers," adding that they "look forward to our next 25 years with anticipation." Membership is diverse and includes people of multiple generations and origins. "We're not all Scottish, by no means," said June Dey, citing the range of different backgrounds various members bring to the group. "But I think they all feel pretty Scottish once they're dancing," she added with a chuckle. 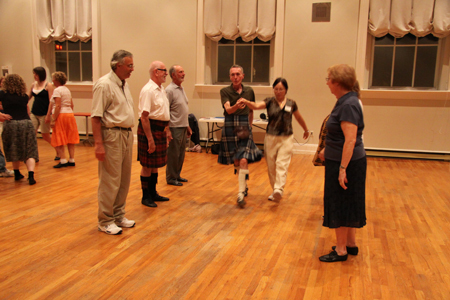 The branch maintains close ties with its neighbouring branches in Michigan and Ontario, and even hosts an annual International Workshop with its friends from the Royal Scottish Country Dancing Society of Detroit. 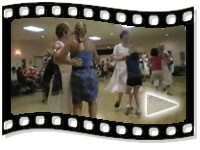 In addition to other workshops held throughout the year, the Windsor branch performs at many public events, such as the Carrousel of Nations, and hosts a ball at the end of every October. It even has a demonstration team that is available to perform at private events. Classes are held every Wednesday night at 8:00 P.M. in Mackenzie Hall (3277 Sandwich Street) from September through May. You don't need previous dance experience to attend, you don't need a partner, and you don't need to be Scottish, either! Anyone is welcome to drop in and attend; who knows? You might get hooked. If you would like to learn more about Scottish Country Dancing, please visit the Royal Scottish Country Dancing Society Windsor branch's website. 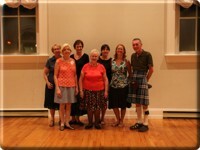 The Windsor branch of the Royal Scottish Country Dancing Society website has a photo gallery as well. 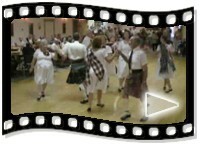 Royal Scottish Country Dancing Society, Windsor, Ontario Branch, "History of Scottish Country Dancing and the Windsor Branch."